Not only the beard and the hair, but also the rest of the man's body would look perfect hair free and clean. Optimal for: A multifunction trimmer with different attachments for every need. 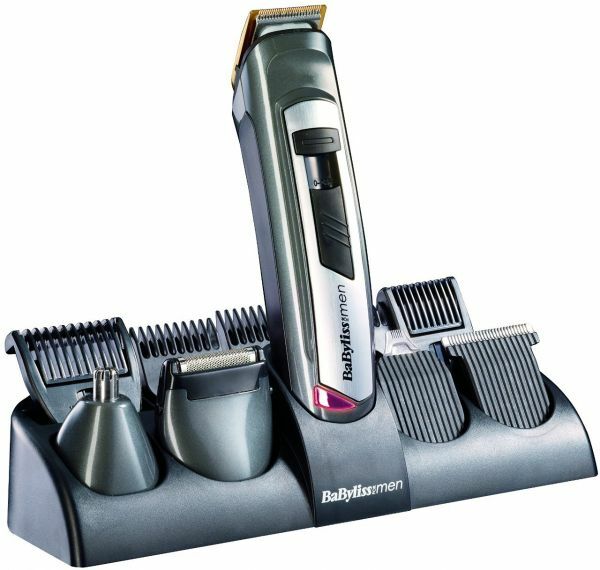 The E826E multifunction trimmer 10 in 1 Titanium leaves no wish unfulfilled. It can be used the head and whiskers, easily maintain and nose and ear hair with a special attachment. The essays can be changed very easily and must be kept for a space-saving thanks to the loading. In addition to the essays, a cleaning brush, a comb and oil the blades in the set are included.